Do you remember the Easter Basket that I made? If not, here is the post on my experience, along with a link to the tutorial. 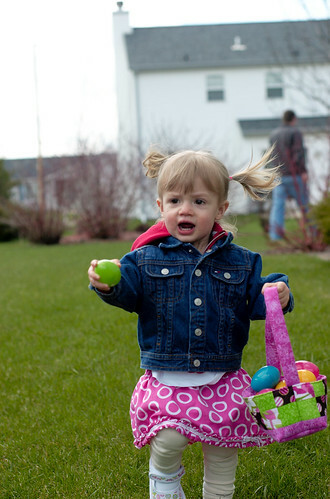 I wanted to share pictures of Lillian using the basket during her egg hunt in the backyard. She got so excited about eggs being in the yard. 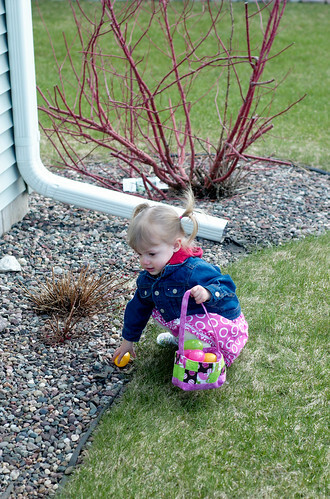 Even more than her first egg hunt the prior weekend. 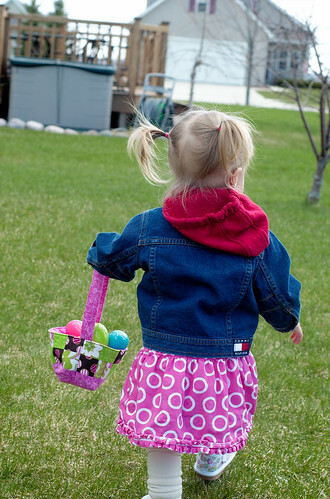 I think the first egg hunt helped her to know what to do at home. This time she knew exactly what to do with the eggs! Lillian is still playing with the eggs and scattering them all over the house. The eggs were a bigger hit than the basket that I made but that is ok with me. 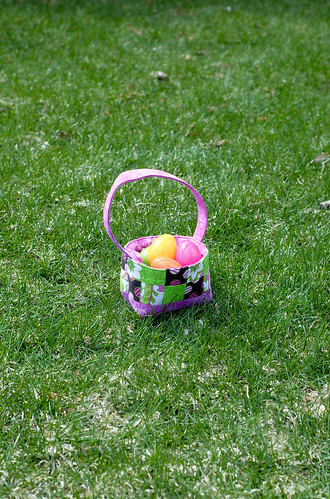 I hope everyone had a great Easter and was able to spend time with their family. I think you are a better “sewer” than you are giving yourself credit! 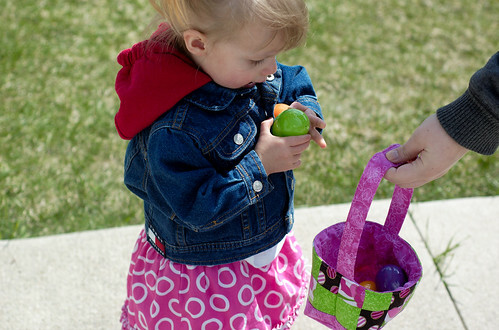 I’ve been browsing through you past posts and am impressed – you did a great job on this Easter basket and your little girl is absolutely darling! Thanks for commenting on my sharing post last week. It was fun to get to know more about you!! What thread do you use? I’m new to sewing and it’s the one question I can’t find an answer to. Love your projects. So far I like Gutterman 100% polyester. I do have Coats & Clark Dual Duty XP and then cheap Coats & Clark from Wal-mart but don’t prefer them. You can tell that they have more loose fibers plus they seem to break easier.